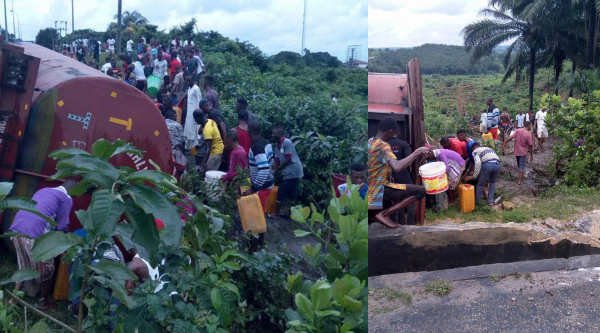 Reports reaching us in the early hours of today is that a police van was hit by fuel tanker while being chased by officers of the anti-robbery division in Akwa Ibom State , residents of the area took advantage of the accident, rushing out with their gallons and buckets to scoop spilled petroleum products despite the grave risk involved. 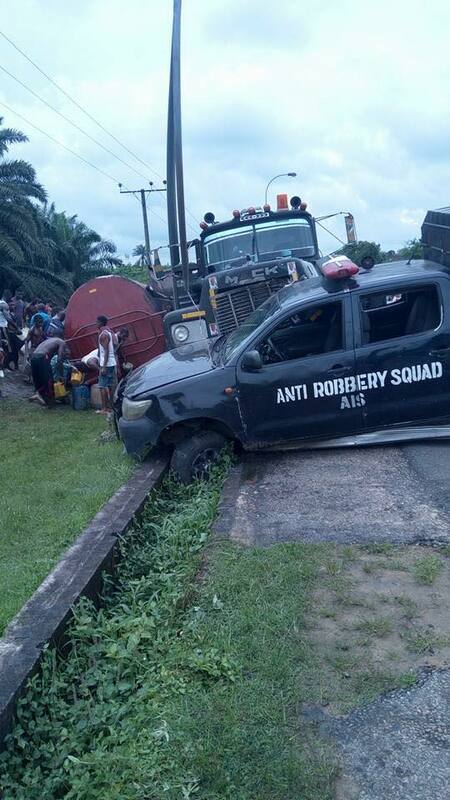 It was also gathered that the police van was hit, after police officers from anti-robbery division chased the tanker driver and blocked him off at Uyo village road by Calabar-Itu highway. 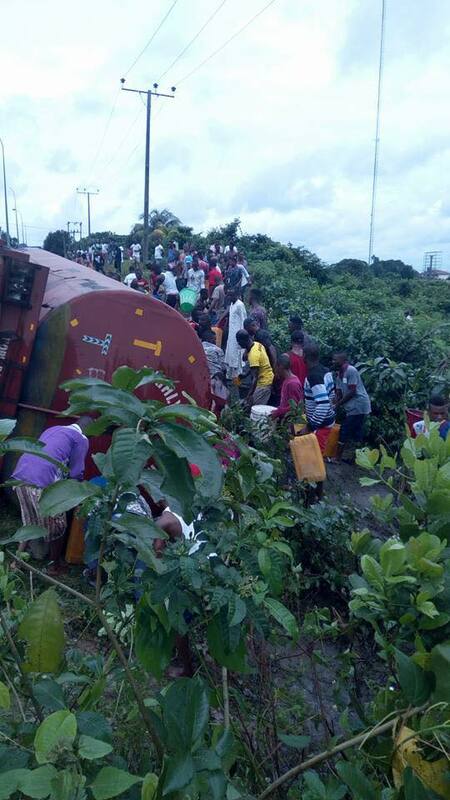 The fuel tanker driver who was unable to bring the tanker to a halt, hit the Police van and fell into the ravine.